In the 1980s, I was involved in a retail computer business called Mesa Computer Mart. We were an authorized Apple Computer dealer and the business grew rapidly. Of course, during that time period and continuing to the present day, technology was rapidly advancing (changing or whatever). As we operated the store, almost every day we asked the same question: "What business are we in today?" We had to make changes very rapidly to stay up with the market. Unfortunately, the changes we faced were not only technological in nature, but we also faced fundamental market changes. Beginning in about 1992 or so, all of the computer manufacturers were facing market demand that far outstripped their ability to manufacture their products. Companies like Apple nearly went out of business, not because of technology but because they could not produce their products fast enough. At the store, we had back-orders on computers that were replaced by new models before our back-orders could be fulfilled. Part of this change was caused by the appearance of "big box" stores such as what ultimately became BestBuy and Costco. Now those same "big box" stores are threatened by online distributors such as Amazon.com. Shortly after 1993, Mesa Computer Mart had to close down. Within a very short time, nearly every dedicated computer store and nearly all of the chain stores went out of business. The last one to go in Mesa was CompUSA. What has this got to do with genealogy? Plenty. I have been seeing a background of heated genealogical community discussion about moving the Arizona State Library's Genealogy Collection from the State Capital to the State Archives. There have been a very few mentions of the issue in the local Arizona newspapers. Here is a quote from the a news article dated 30 July 2015 and entitled, "Our View: Close Arizona's genealogy library? Good Idea." The genealogy collection averages three visitors a day. The only person in Arizona Republic photographs taken at the library Tuesday was a librarian. The room was otherwise empty. Many of the holdings have not been touched in years. It’s hard to justify keeping the place open. Yet genealogists, like anyone else enjoying a service at taxpayer expense, passionately complained. But in doing so, they only supported Reagan’s move. The governor’s office reporting getting 93 emails; Reagan received 50. That’s little more than a whisper. What’s in Arizona's genealogy collection? 20,000 items, including books, manuscripts and newsletters. 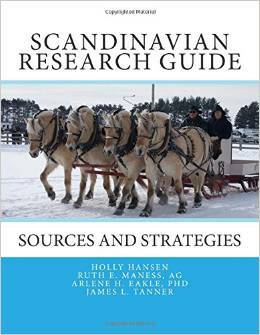 Reference books that point researchers to U.S. Census data. A popular collection of books on Mayflower families. Books on histories of Arizona families. Individual family histories donated to the state. There are some serious questions that need to be answered, but none of them have anything to do with the closure of the genealogy library. The most serious question is how many of these items are unique to this particular library? If they are unique, why haven't they been made more available to the general public by digitizing the items and putting them online? 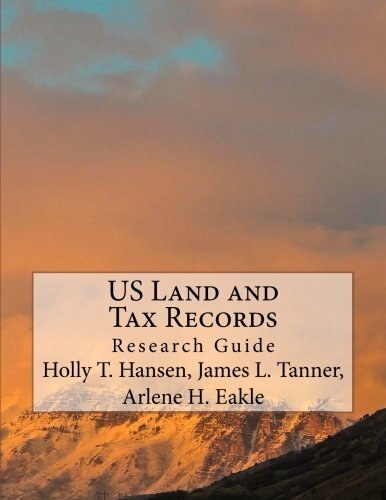 I would also point out that some of these categories of reference materials, such as books that point researchers to U.S. Census data, are not only online but outmoded. If the physical space is needed so much that it is forcing the closure of a library, then why hasn't the "genealogical community" been legislating to expand the online offerings, which obviously take up much less physical space? While I am at it, Arizona is one of the very few, perhaps the only, state that has many of its birth and death records online. See Genealogy.az.gov. Although Arizona is certainly not at all in the same league as Washington State with their online collections, we do have more records than most of the U.S. states. The reasons here are why I talked about the closing of Mesa Computer Mart. Here is one example. I lived in Mesa, Arizona. The State Library is located in Phoenix, Arizona. On a good day, it would take me anywhere from 45 minutes to more than an hour to drive from Mesa to downtown Phoenix on a freeway going the speed limit (I have a lot to say about that, but that really is not relevant to anything genealogical). Then I have to park. Then I have to walk (in the heat) to the Capital building. I am very familiar with the drive since I spent the better part of a year working on a case that involved lobbying at the State Capital. Did I ever use the genealogical collection in the State Library? Yes, very infrequently and less when I found that most of what I was looking for WAS ALREADY ONLINE! Now what about reality. Reality is that the largest and most complete genealogical collection of books, microfilm, records and other resources in the State of Arizona has been closed for over 8 months with barely a notice by the same genealogical community that is now up in arms over the State Library. The Mesa FamilySearch Library in Mesa closed at the end of November, 2014 and remains closed to this day with no information on when it will open. Any mention of this by the present genealogical community uprising? Here's an interesting fact about the collection of books in the Mesa FamilySearch Library. 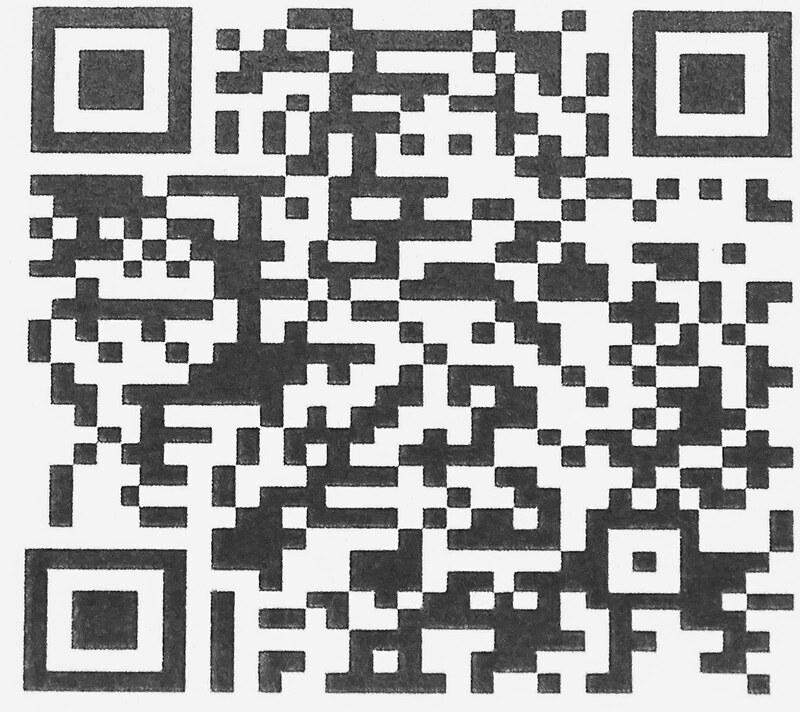 All of the books that are out of copyright or where the copyright holder gave permission, have been digitized and are now online on FamilySearch.org's Books collection. I have written a number of posts recently about the challenges faced by libraries. It looks to me like some in the genealogical community are in the position of shutting the barn doors after the horses have all escaped. Book technology is changing rapidly. State governments are not immune to the changes. The issue here is not where the collection is housed, but whether or not the State will make the information contained in those books and documents available to the entire state and not just to those who are interested enough to drive and park in downtown Phoenix. The movement to digitize the materials in the State Genealogical Library should have started years ago. Those genealogists around the world who are concerned about the closure of libraries, need to wake up and see that technology has passed them by. 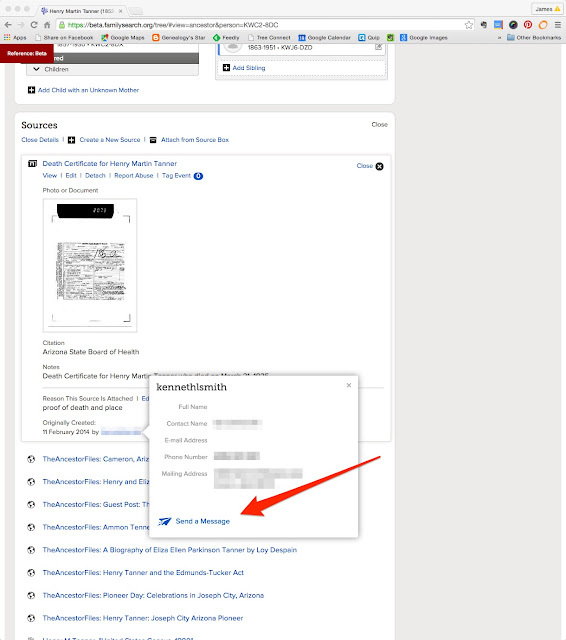 My last question is how many of books and other records in the Arizona State Genealogical Library are already online? Anybody know the answer to that question? If you are a genealogist in the United States, do you know the ratio of what your state has in genealogically important documents to the number online? By the way, when did I ever avoid a controversial topic? This post addresses some unfinished business concerning my recent post about some U.S. copyright issues. There are two very vague areas in the U.S. copyright law: fair use and publication. Neither of these "legal doctrines" are explicitly defined in the statutes. I will first discuss publication and then in a subsequent post, fair use. Genealogists seem to get into this issue in a big way when they start to worry about who can or who cannot publish an old photo, diary, document or etc. The main concern is that there was and still is an issue with the term of copyright coverage to "unpublished works." Before I begin, I want to clarify my legal position. I am a completely retired attorney from Arizona. I now live in Utah and I no longer practice law in either state. My opinions are just that: opinions. During the time I was actively practicing law, I was consistently involved in what is now called "intellectual property" law although my main practice was commercial litigation. I have taught a number of classes on both U.S. Constitutional law and Intellectual Property law. What I write is not to be construed as legal advice to anyone for any purpose. That said, here I go again. In law, the word "or" is important. The definition from the 1909 Act did not limit publication to the commercial sale but included when the work was "publicly distributed." What does this mean? Hmm. That is the real question. Let's see what the law has said about this issue. One way to begin to find out the status of any legal issue is to review the scholarly journal articles on the subject. Law students and law professors thrive on publishing articles and they sometimes do an adequate job of reviewing the law in any given area. Common law copyright is the legal doctrine which grants copyrightprotection based on common law of various jurisdictions, rather than through protection of statutory law, like the federal copyright statute. See Wikipedia: Common law copyright. In part, it is based on the contention that copyright is a natural right and creators are therefore entitled to the same protections anyone would be in regard to tangible and real property. The proponents of this doctrine contended that creators had a perpetual right to control the publication of their work (also see perpetual copyright). The "natural right" aspect of the doctrine was repudiated by the courts in the United Kingdom (Donaldson v. Beckett, 1774) and the United States(Wheaton v. Peters, 1834). In both countries, the courts found that copyright is a limited right created by the legislature under statutes and subject to the conditions and terms the legislature sees fit to impose. I left in the cross-references in case you want to investigate this issue further. I would note that Wikipedia is just a convenient starting point for research on any given subject. In many cases, I am compelled to go much further and examine original court documents and decisions. The U.S. Supreme Court case of Wheaton vs. Peters 33 U.S. 591 (1834) is the beginning point for understanding the issue of publication. The opinion is quite long (not unusual) and addresses the issue of the relationship of the common law (derived from the historic English law) to statutory law or the laws created by the U.S. Legislature. The question, put as simply as I can, is whether or not an individual can claim a copyright to a document under the common law (court decided law) or whether copyright protection originates solely from statutory provisions? The division in the United States is between the law of the individual states and that of the Federal Government. If there is a common law copyright claim, then the right is perpetual. Think about that. You can search the complete version of the current U.S. Copyright Law from Circular 92, Copyright Law of the United States and Related Laws Contained in Title 17 of the United States Code on the Copyright.gov website. [CopyrightAmendments], Pub. L. No.102-492,106 Stat. 3145 (amending §107, title 17, United States Code, regarding unpublished works), enacted October 24, 1992. (a) Unpublished Works.—The works specified by sections 102 and 103, while unpublished, are subject to protection under this title without regard to the nationality or domicile of the author. Section (b) continues with published works. What then does the law state about the terms of copyright coverage for "unpublished" works? What then constitutes publication? Good questions and the reason for this blog post. OK, what this means is that in any action for infringement of a copyright, you must follow the provisions of the statute to claim statutory damages or you are limited to your "actual" or provable damages. When exactly was the photograph taken? Was the photograph ever published? Is the photographer still alive? When did the photographer die? What happened to the photograph after it was taken, assuming it was unpublished? These are some of the actual questions I would ask you about your photograph if you were to consult with me before I retired. In fact, they are the same types of questions I asked when I took a Federal District Court case involving a copyright claim to a photograph. Let's further suppose that someone besides a member of your ancestral family took the photograph. How did the photograph come to be in your possession? That is a crucial question. Unpublished works have a term of the life of the author plus 70 years for works from authors who died before 1945. If the work was anonymous or pseudonymous or "made for hire" i.e. of corporate authorship, then the copyright term is 120 years from the date of creation for works created before 1895. If the work is unpublished and the date of the death of the author is not known, then the copyright term is 120 years from the date of creation for works created before 1895. Now it is time to stop for this post and continue in Part Two. I recently had an opportunity to talk to Gaylon Findlay, the President of Incline Software, best known as the developers of the Ancestral Quest genealogy program. He showed me a brief demo of the new, Apple Macintosh version of Ancestral Quest. It is running under a customized version of CrossOver Mac, the emulation program that runs Windows software on the Apple OS X operating system computers. 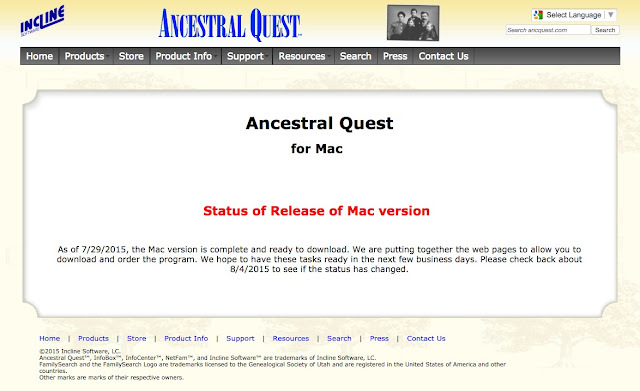 The Ancestral Quest Mac version is supposed to be released in the next few days. I am anxious to get a copy and will report on the full program as soon as I have had time to evaluate it. What I did see was impressive. Ancestral Quest always receives some of the best reviews on the GenSoftReviews.com website. Genealogy is not technology. It is historical research. Genealogy does not go out-of-date. History does not change merely because we get faster or more powerful computers and computer programs. The digitized records that are going online by the millions, were always there, waiting for a careful and persistent researcher to find and use. I recently was following an online discussion where several disparaging references were made about "old books in the public domain." The focus of the discussion was the assumption that all ebooks were valueless to genealogists because they were limited to old, inaccurate genealogies. Those participating in the discussion, who were supposed to be genealogists, seemed totally unaware of the reality of ebooks and what is happening in the digital world. Let's start with the Family History Library in Salt Lake City, Utah. The collection in Library is described as follows on its webpage. Now, the microfilm is being processed and digitized into the FamilySearch.org Historical Record Collections at an ever increasing rate. There are no current statistics available, but here is a sample of the rate of digitization from 2012 in a post entitled, "Executive Corner: FamilySearch 2012 Accomplishments:"
From the same post, here is the status of the online collections from FamilySearch at the beginning of 2013. Interestingly, in all of the discussion online that I mentioned above, there was not one reference to FamilySearch. Where I have later numbers, I have included them in parenthesis and in bold. How many books are in the Family History Library, the largest such library in the world? The number given above from the Library is approximately 356,000. How many of those books have now been digitized? Well, the numbers from 2012 are really out-of-date. The current number of digitized books in the online collection on FamilySearch.org is well over 150,000. I cannot find a current number; the most current number I have is from October of 2014. What do these numbers show? First of all, about half of the paper books in the Library have already been digitized and are online for free from FamilySearch.org. If I were to buy into the opinions of the genealogists in the online discussion, I would have to assume that almost half of the books in the Family History Library were inaccurate and out-of-date because they were now in ebook format. Ancestry.com has thousands of digitized books including some recent publications such as The Great Migration and The Great Migration Begins, 1620-1635. The HathiTrust.org Digital Library has 13,657,194 digitized volumes and 603,823 of those digitized books come up with a search on the term "genealogy." Many of these are fully digitized and freely viewable online. Heritage Quest Online, which is available through many public libraries, has 28,000 family and local history books online. Many of these are currently published and copyright protected books. This list could go on and on. I mentioned previously that one of my friends at the Family History Library was surprised that many of the paper books had been removed from the shelves. These were not "old, useless books," but valuable research items. The truth is that all these removed books are now freely available online. Can we assume that all these books are out-of-copyright and useless? No. In fact, the Family History Library and many other libraries are making plans to allow current copyright protected books to be checked out online, just like any other book in the library. Some libraries have truly unique and genealogically valuable books and other records. These should be made more available to all of the world's genealogists through digitization. Complaining about the availability of paper books is what is really out-of-date. Rather than complain about the closing of libraries paper book collections, perhaps more effort should be made to allow free access to all books online. By the way, if an old "genealogy book" was written a 100 years ago, it does not mean the book has no value or that modern books are more "accurate." You have to understand that when an old book was written about a family, many or all of the people in the book were still alive and could provide their own information. There well may be no listed sources, but the information is first-hand. There is no more guarantee that the current copyright protected book is any more accurate than an old one. It is time to realize that we will all be reading books online or on our mobile devices before long. You can find the books on Amazon.com by searching for the book title or by searching for any one of the authors. The book series has been created as the classroom material for the Retreats. If you cannot attend the classes in person, the entire class offerings will be made available in a live broadcast in the form of a webinar. See the New England Virtual Family History Expo, August 17, 2015 to August 21, 2015. The webinar classes are also recorded and a CD containing the entire class presentations will be available for purchase in addition to the books online on Amazon.com. You can keep posted on the upcoming Retreats by going to the Events page on FamilyHistoryExpos.com. To see all of the books, including those that will be coming soon to Amazon.com, visit the FamilyHistoryExpos.com Store. 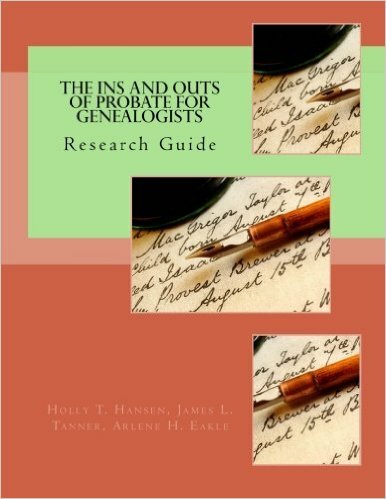 There you will find the books, the CDs of the recorded webinars and many other helpful genealogically related products. As I mentioned in a previous post, Holly, Arlene and I plus some others such as Ruth Maness, AG, are the authors of these books. 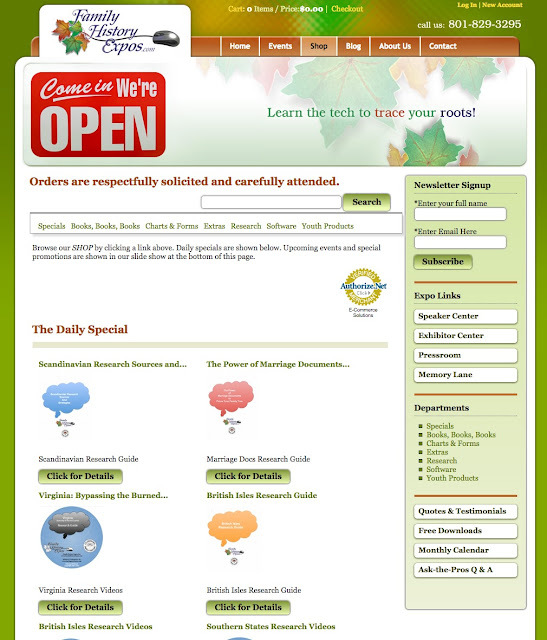 We do get paid for our writing and teaching as we have for many years in our association with FamilyHistoryExpos.com. If you have attended a genealogy conference over the years sponsored by FamilyHistoryExpos.com you have experienced the high level of professionalism of Holly Hansen and her staff. By teaching the classes, helping attendees with their research at the Family History Library, publishing the books and the recordings of the webinars, we hope to reach an even larger audience than we did by holding the conferences. 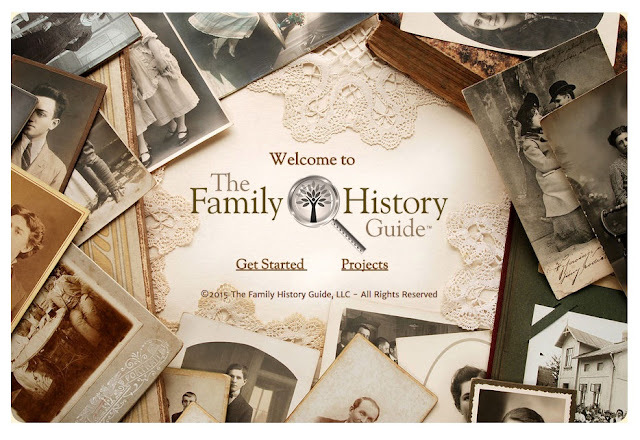 The Family History Guide helps you get started - and get farther - with your family history. There are links to over 1,000 videos and articles, all integrated into a step-by-step learning plan for learners of all levels. Projects include Family Tree, Memories, Descendants or Ordinances, Discover (research for over 35 countries), Indexing, Help, and Technology. Classroom materials are also available for instructors who want to teach using The Family History Guide. This is such a great tool for beginners, intermediates and for advanced family historians. It holds your hand while it guide you through a learning process or even refreshes your skills. You have goals that can be tracked using tracker sheets so you know what you have accomplished and what you have left to learn. FamilySearch and others offer such great material and this tool takes you first to some of the most important videos and documents to help you learn. Then as you get more comfortable with the process you can go all the way through the discovery process honing your research skills and and documenting your family memories. This tool is for everyone! OK, so since when do I praise a new program so effusively? The answer is that this program, The Family History Guide, addresses a need that has been floating around for years. In my experience, day after day, answering questions from patrons at the Family History Library and others, I have seen a need for this type of product. The Family History Guide is a structured, very professional and complete introduction to genealogy as well as the specifics of FamilySearch.org. To get started with The Family History Guide, you should watch the short introductory video. All you need to do from the startup page is to click on the Get Started link. We have already planned to do a series of classes at the Brigham Young University Family History Library specifically on The Family History Guide. Is historical research intellectual property? If you have been involved in genealogical research or other historically related areas of study, you have probably heard many references to "intellectual property." We now even have whole law firms that advertise that they practice intellectual property law and you may hear a reference to "intellectual property rights." From my perspective, this is another one of those situations where a vague and undefinable interest is evolving into a "right." From a legal standpoint, there are significant differences between patents, copyrights and trademarks. Those differences are so significant, that it is very unlikely that you will find an "intellectual property" law firm that has anything to do with patents. It is also important to point out that the United States government separates copyright from patent and trademark practice. Copyright law is administered by the United States Copyright Office. Patents and trademarks come under the jurisdiction of the United States Patent and Trademark Office. Any attorney can practice law in the area of copyrights and call themselves an intellectual property attorney. Patent attorneys, on the other hand, must be registered with the Patent and Trademark Office to practice law in this area. In Arizona, for example, there are about 500 registered patent attorneys and well over 16,000 attorneys in all areas of practice. See American Bar Association, National Lawyer Population by State (2013). Lumping these different areas of law into an artificial umbrella called "intellectual property" obscures the fundamental differences between these distinct areas of the law. But what is more egregious is the fact that references to "intellectual property" contain references to vague "rights" that are clearly not protected by any legal process or statute. Now, as genealogists, we find ourselves in a quandary. We do historical research. We discover documents, most of which are not covered by copyright or any other "intellectual property" protection and we convert those documents (organize, extract, summarize etc.) into our "own work." Some of the documents we use, such as U.S. Federal Census records, are clearly exempt from any copyright protection as U.S. Government Documents. Most of the other documents we consult are either long out of copyright due to the age of the documents or otherwise not covered by any sort of protection. In some cases and in some other countries, the same types of documents may still be subject to copyright claims by the originator or the government. The best summary of the U.S. copyright law is found on the webpage, "Copyright Term and Public Domain in the United States, 1 January 2015" by Peter B. Hirtle of Cornell University. Does historical research fall into any of those categories? No where in the area of copyright (intellectual property) claims does this issue become more tangled and obscure than with the issue of photographs both old and new. One genealogical issue that is commonly discussed with excessive claims of rights is the headstone photo. If I go out and take a photo of my grandfather's headstone, is my photo subject to my claim for copyright? My first question, of course, is why would you want to make a claim for copyright for a headstone photo? Another question, even more obscure, is whether or not the headstone itself is covered by some claim of copyright? The answer can be yes to both questions. Should we then stop making photos of headstones and publishing them online? Strict and legalistic interpretation of the existing copyright law in the U.S. would seem to mandate a yes to that question also. Sometimes, those hosting photos of headstones try to avoid liability for publishing the photos by disclaimers and other legal language. Are these disclaimers effective? Interesting question. Let me posit a hypothetical situation. Suppose a photographer takes a photo in 1940 of your great-grandfather. You find the photo among the effects of your father when he passes away. You are surprised and happy to have a photo of your great-grandfather who you never met or knew. Can you publish the photo online for the enjoyment of other family members? Some attorneys would counsel you with a long discussion about copyright and its ability to be inherited and then tell you that the copyright to the photo was still owned by the photographer and that even if the photographer were dead, you would have to have permission from his or her heirs to publish the photo. Why not just throw the photo away and avoid the issue? Let's look at the reality of the situation. Yes, there is a potential claim for copyright. If we go to the copyright law (See the Summary above from Cornell University), we learn that a work published between 1923 through 1977 must have a copyright notice and that the failure to comply with the required formalities render the work in the public domain. Ha, you say. But then the overly zealous attorney responds, but what if the photo was not "published?" Unpublished works are protected for a period of time equal to the life of the author (photographer) plus 70 years. Published or Unpublished? Under copyright law, publication is the distribution of copies of a work—in this case, a photograph—to the public by sale or other transfer of ownership or by rental, lease, or lending. Offering to distribute copies to a group of people for purposes of further distribution or public display also constitutes publication. However, a public display of a photograph does not in itself constitute publication. The definition of publication in U.S. copyright law does not specifically address online transmission. The Copyright Office therefore asks applicants, who know the facts surrounding distribution of their works, to determine whether works are published. You might want to read the Copyright Tutorial from the American Society of Media Photographers. What about all the photos on Instagram, Flickr and Facebook? Now we are into another huge issue. I cannot give anyone legal advice on this issue. I recommend that if you have a real problem and need an answer that you seek help from a competent attorney who practices in the area of copyright law. Unfortunately, the status of our copyright law in the U.S. asks more questions than there are answers. If everyone who had a copyright interest exercised their full legal rights, much of what we see today on genealogy websites would disappear and our ability to discover and document our families would be severely curtailed. The lack of clear and concise guidelines in the U.S. Copyright Law leads some to advise extreme caution. It also encourages genealogical researchers who really have no interest practical or otherwise to a claim for copyright to assert such claims and become irate and abusive when they believe their rights have been violated. In my hypothetical above, personally, I would look at the photo. If there is no copyright mark or claim, I would consider it to be in the public domain. I would suggest that the photo was either taken by your father (in whose possession it was found) or someone else. If someone else, then the fact your father had the photo would indicate to me that it had been published. If your father took the photo, then simply ask any other heirs for their permission to publish the photo. I cannot council anyone to take such a risk however. What about the copyright claim to a headstone? Yes, headstones can be copyright protected, but the same time limits apply. However, there is also another issue dealing with the ability of a property owner to regulate the activities on their property. Hence, a cemetery owner or operator may restrict photography on the premises. Is the Microfilm Record Complete? None of these records have been digitized, so it is back to the microfilm viewers. In this case, I am fortunate. The BYU Family History Library has ScanPro 2000s for viewing and copying the microfilms. The challenge is that I am looking for a specific range of dates. My Great-great-grandfather, William Linton, immigrated from Canada (originally from Northern Ireland) in about 1850. 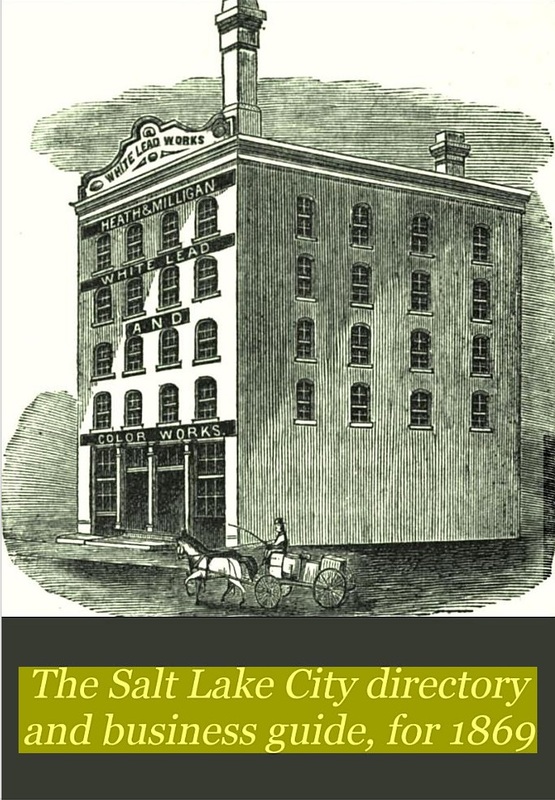 His wife and family came separately from New Brunswick to Philadelphia in 1851. The exact date is not recorded but the record shows that it was from the 2nd Quarter beginning in April. I have yet to find when William Linton came to the United States. Unfortunately, he died in December of 1851 and was buried in the Fourth Presbyterian Church Burial Ground in Philadelphia. Part of my investigation is an attempt to determine when and where he was born in Northern Ireland. The family has recorded his birthdate only as 1801 in Ardstraw, Tyrone, Ireland but the birth date comes only from his death records. 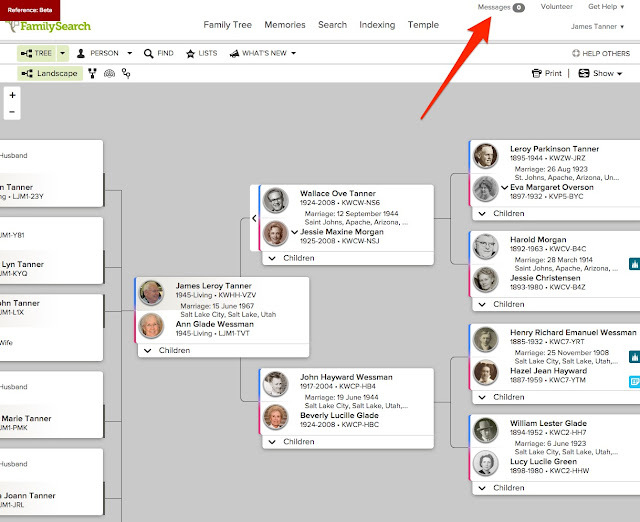 The family records and those on the FamilySearch.org Family Tree, show that William Linton's father was Samuel Linton, b. 1775 in County Down, Ireland. There are seven other Samuel Lintons in the Family Tree without birth or death information. Despite the family traditions, there are no sources supporting a line that somehow moves from Tyrone, Ireland to County Down, Ireland. Here is the problem with the Fourth Presbyterian Church records in the FamilySearch Catalog. If you look carefully at the dates covered by the records and focus on those records that might help find a person in 1851 or before, you will see that there are several gaps in the records. When did William Linton leave Canada for the United States? One limiting factor is the fact that his last child, John Selfridge Linton, was supposedly born in 1842 in New Brunswick, Canada. So the most reasonable time period was likely from 1842 to 1851. There are only two sets of these microfilmed records that cover that time period. Even though the titles to the records only mention certain time periods, if you were being careful about your research, you would pull all of these microfilms and check to make sure the cataloging data was correct and that there were not some later or earlier records stuck in that got missed in the cataloging process. So, I am going to have to look at every one of these records. But the more important issue is whether or not the records are complete. Can I assume that I have made an adequate (reasonably exhaustive) search if I conclude that the information is not there? Well, I am just starting to gather records on this particular point and I will probably move to Canadian records as soon as I finish with the Church records. The point is important. You need to be carefully aware of the time periods involved in your research. Obviously, you also need to be liberal and check many years before and after the dates traditionally recorded for an individual, especially if the individual has no listed sources. The other books are being prepared and will also eventually be available on Amazon.com, however, they are presently available directly from the FamilyHistoryExpos.com Book Store. I must observe that writing and editing seven or eight books at the rate of one a month is a serious undertaking. We intend to have one a month for the foreseeable future also. Stay tuned. I might also mention that the latest book on Probate is 172 pages long. 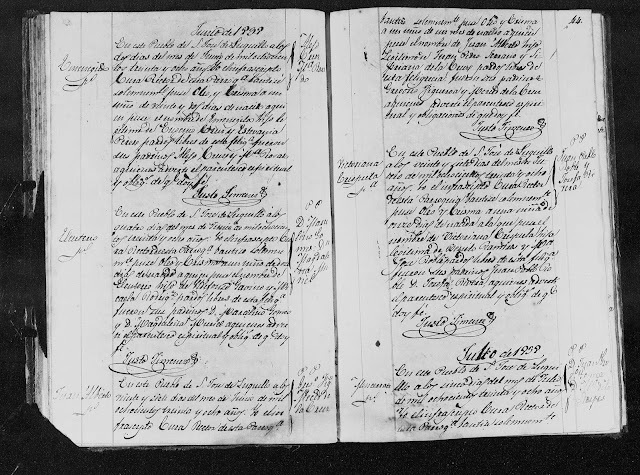 "Puerto Rico, registros parroquiales, 1645-1969," images, FamilySearch (https://familysearch.org/pal:/MM9.3.1/TH-1-10481-56140-55?cc=1807092&wc=SKHQ-T3D:149110201,149110202,149110203 : accessed 25 July 2015), Luquillo > San José > Bautismos 1836-1842 > image 200 of 303; paróquias Católicas, Puerto Rico (Catholic Church parishes, Puerto Rico). Bulldozing is my term for looking through large numbers of original records, usually on microfilm but sometimes online in digital format, one record at a time. The time involved in doing this, increases in direct proportion to the number of records. Those of us who commenced our genealogical journey many years ago were used to searching microfilm records. Very, very few of these records had indexes and the only way to find individuals in the record was to start at the beginning of the microfilm and look at all of the images. Of course, the goal of indexing the records is to shorten the time it takes to find any individual entry. In some types of records, the indexing process misleads the inexperienced researcher into a false sense of security. The researcher thinks that he or she has searched records when in fact, the index missed the record they are looking for or the information needed was not indexed at all. Because of their complexity, some types of records such as probate files and even parish registers may never be completely index. As I've pointed out in previous posts, the information in the original record may also be incomplete or inaccurate. In these cases, a record by record search may be the only way to uncover the missing or incomplete data. The record shown in the image above for a good example of this issue. The image is selected from some Catholic Church records. Even though an index may contain the name of the infant's being christened, most indexes would not contain the names of the witnesses and the witnesses may be the individuals being researched. The reason this issue comes up at this time is because one of my daughters and her family have just spent the last few weeks copying each image from a large number of microfilms. The reason for this activity is little bit complicated. As I have previously written, the Mesa FamilySearch Library in Mesa, Arizona has been closed for about eight months. She and her husband, my son-in-law, have been researching old English parish registers on our shared family lines. Because the library is closed, they have had no access to the microfilm records. So they came to Provo for almost 3 weeks to copy records they needed to do the research. Several of my grandchildren assisted in the effort. Obviously, since the records were only available on microfilm, there were no indexes. The only way to be sure to have access to the records was to copy the entire microphone, frame by frame. 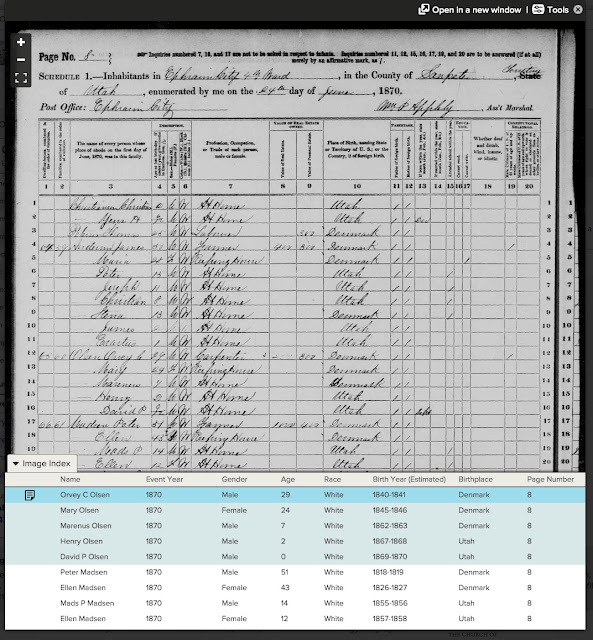 Online digital records with indexes hold out a promise of making genealogical research easier. But the reality is that in many cases, there is no substitute for bulldozing the records and scraping every last vestige of information available. If newly minted genealogists are never taught this principle, what will happen to the accuracy and completeness of the individual family trees? What happens when we run out of "low hanging fruit?" Do we really expect that the smartphone generation will be searching the records one by one? Have You Thought About Hospital Records? Granted, many of our ancestors probably never saw the inside of a hospital, but what if they did? How do we go about finding hospital records? Well, that depends. 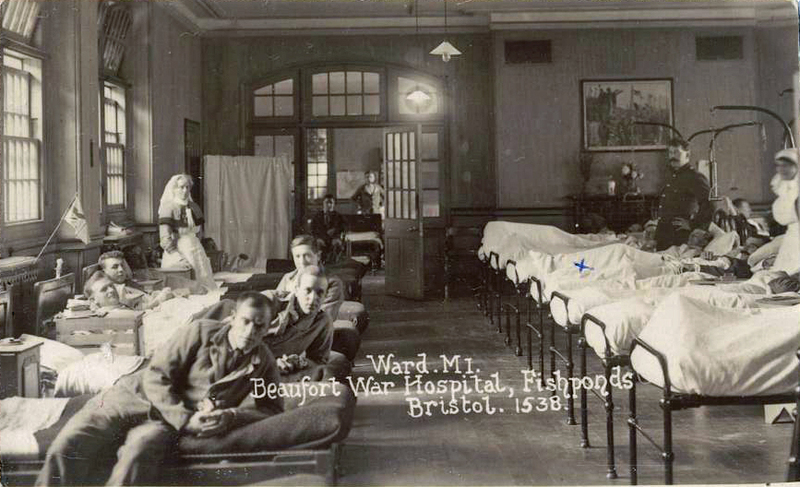 If your ancestor was a soldier or other military veteran, his or her medical records could be located along with any existing service records. If the ancestor was treated and died, then death records will reflect the place of death and sometimes the cause. If an ancestors was merely treated at a hospital and then released (escaped) finding the records might take some intensive detective work. In another search on Ancestry.com, I found a list of 37 collections. The link takes you to a list of your unread messages or also a page to view all the messages called the FamilySearch Mailbox. This is a long anticipated and awaited development. Of course, it will not solve the problem of user who refuse either read or answer their mail, but it will provide a venue where communication can take place for those users who either do not have or refuse to disclose their email address. If you find a change or addition and need to contact the user, there will be a link to send a message on the info pop-up that will also have their name, email if disclosed and other contact information. Here is a example with the pertinent information fuzzed out. I will be watching for the change to to be added to the FamilySearch.org website. How many times this week did you give someone your address or directions to your home? I know I did once, at least, in conjunction with checking out books at the Brigham Young University, Harold B. Lee Library. One interesting phenomena is that we all have a tendency to think that the past was somehow "less complicated" than the present. This seems to extend to our views about our ancestors. Apparently, many of us believe that no one ever sent mail to or visited out ancestors because we cannot seem to find exactly where they lived. If you think about it for even a few minutes, what about tax assessments, military recruitment, insurance information, doctor visits and hundreds of other contacts our ancestors had with the world in general? Did all these entities and agencies just automatically "know" where your ancestors lived? In reality, there are layers of historical documents that might provide the exact address or the location of the ancestor's farm. Sometimes, finding the specific location where an ancestor lived can make the difference between identifying the right family and going off on a wild goose chase down an unconnected family line following someone with the same or similar name. I recently wrote about using directories, but there is a lot more to be said on this subject. One time, at the Mesa FamilySearch Library, a patron came in with a piece of paper and handed it to me, asking what it was. I looked at it and replied that it was a copy of a parish register, probably from England. After explained what a parish register was, I suggested that the document gave the ancestor's address. The patron seemed surprised, not only that the document contained that sort of information, but that the ancestor had an address. This short scene is not an anomaly. In my experience, very, very few researchers take the time to establish the exact address of the location where their ancestors lived. Many are seemingly content to know their country of origin (even when that is wrongly identified). Even more, record the district, state or province and leave it at that. Most of the time, the place where a person lived is identified only by the standard, "city, state, country" asked for on the forms. To some, looking for the exact address of an ancestor may seem excessive and unnecessary. But it many instances, the correct identification of an ancestor may only be possible when the addresses or similar location information separates them out as individuals. Granted, as we go back in time, this task becomes more and more difficult, but in many cases, fixing the location of more recent ancestors resolves the difficulty as the researcher goes back in time. My daughter recently positively identified the English parish where an ancestor originated. This fact alone opened up the entire line to further research. This database is a collection of city directories for various years and cities in Utah. Generally a city directory will contain an alphabetical list of its citizens, listing the names of the heads of households, their addresses, and occupational information. Sometimes the wife's name will be listed in parentheses or italics following the husband's. Often, dates of deaths of individuals listed in the previous year's directory are listed as well as the names of partners of firms, and when possible, the forwarding addresses or post offices of people who moved to another town. In addition to the alphabetical portion, a city directory may also contain a business directory, street directory, governmental directory, and listings of town officers, schools, societies, churches, post offices, and other miscellaneous matters of general and local interest. To see what cities and years are currently available, view the browse table above. Begin by selecting a city of interest. Once you do that you'll be able to see all the years that are currently available for that city. 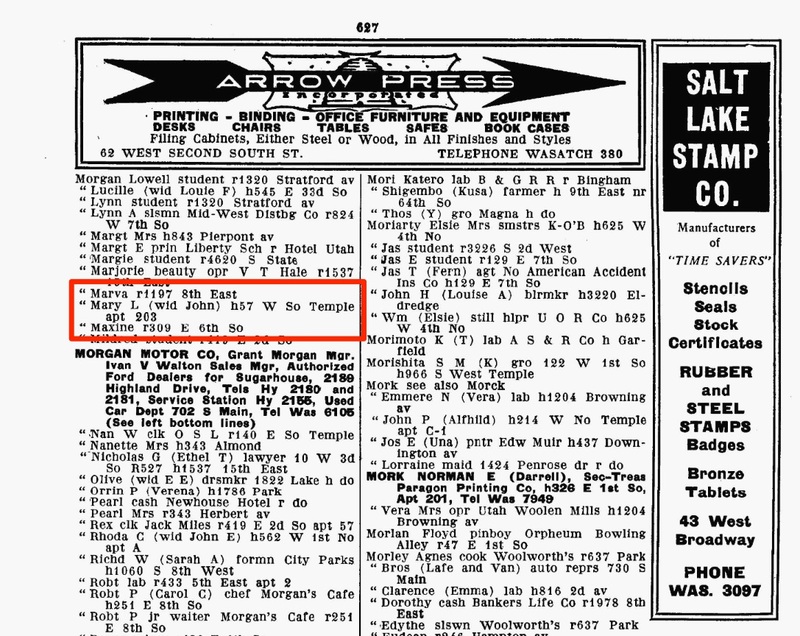 Here is an entry on Ancestry.com for my Great-grandmother, Mary L Morgan, living in Salt Lake City, Utah in 1934. Once you get started with this list, remember that in each category of records there are many, many sub-categories. A list of forbidden marriages was drawn up by the Church of England in 1560. The list may not be surprising, but it is extensive. You can see a summary of the scheme on the Genetic and Quantitive Aspects of Genealogy website article, "Forbidden Marriage Laws of the United Kingdom." Many people would have a difficult time figuring out the relationships in this set of charts. Notwithstanding this difficulty, most of the prohibited relationships are so ingrained in our collective society as to seem obvious, but the real question for genealogists comes when the marriages seem to modify or ignore the restrictions. Restrictions such as the ones codified in the United Kingdom exist in nearly every country of the world. In addressing this subject it is difficult to separate fact from the sensational and the situation would appear to become even more difficult in the future. For every non-consanguineous couple there is a 1 in 40 (2.5%) chance that each child will suffer a severe problem, such as a congenital malformation or learning disabilities. A consanguineous couple is at increased risk for both autosomal recessive disorders and several congenital malformations, this increased risk being due to a common mutation in an autosomal recessive gene from a shared ancestor. For a couple who are first cousins in a family where there is no other consanguinity, their overall risk is about 1 in 20 (5%). This risk is therefore double that of the general population. The additional risk for second cousins is 1% (overall risk 3.5%). If there have been several other cousin marriages in the family, the risk may reach 1 in 10 and the risks may need to be calculated from the degree of relationship. If someone in the family is already known to have an autosomal recessive disorder, then risks for this disorder can be accurately calculated. It is sensible to offer carrier testing for autosomal recessive traits known to be common in the couple's particular ethnic group (for example cystic fibrosis in Northern Europeans, Tay-Sachs disease in Ashkenazi Jews, thalassaemia in people from the Mediterranean, the Middle East, South-East Asian and the Indian sub-continent and sickle cell disease in people from Africa, the Caribbean, the Eastern Mediterranean, Middle East and Asia). Couples should also be offered detailed ultrasound scanning in pregnancy, in addition to routine antenatal care. Estimates worldwide concerning cousin marriages are difficult to obtain, but in many cultures, despite the risks, such unions are not only permitted but encouraged. One practical effect of such marriages on a family's pedigree is the phenomena of "pedigree collapse." I have written about this previously, but not from the point of view of which marriages are allow or disallowed in a particular culture. The issue of permitted marriages is so wrapped up in traditions that it is almost impossible to find objective discussions on the subject. The New York Times published an infographic showing the laws for or against first cousin marriages here. Throughout the United States, with the decision of the Supreme Court in Obergefell v. Hodges, the whole issue has reached an entirely new level of examination. From the standpoint of genealogical research, knowledge of the laws, both civil and ecclesiastical, concerning marriage patterns in a community may help solve some very difficult questions. There are so many articles and books on this subject that listing even a few is an overwhelming challenge. I suggest focusing on a particular time period and location for establishing any historical context. This is the first in my new series on books. I found this interesting book at the Brigham Young University Library. As far as I could tell, there is only one brief mention of computers in this entire book. What I did find interesting was the pre-Internet orientation of the book concerning the availability and location of the English records. I have gotten into the lamentable habit of looking at the copyright date of books on research or computers before looking at what is inside. I just assume that anything more than two or three years old is hopelessly out-of-date. I say "lamentable" because, in this case, the book was entertaining and had a good measure of really valuable information about records in England that I had never heard previously. I realized that some of the issues raised by the author had become moot with the large online databases, such as Findmypast.com, but at the same time, I also realized the need to understand the types of records available and the time frame of their coverage. The idea here is that even if the genealogy book was written many years ago, the types of records and the repositories of the original records have probably not changed. Oh, by the way, did I mention that the book was available on Amazon.com for 13 cents plus shipping? The book also has five useful appendixes. Herber, Mark D, and Society of Genealogists (Great Britain). Ancestral Trails: The Complete Guide to British Genealogy and Family History. Baltimore, Md. : Genealogical Pub. Co., Inc, 1998. But it is a good place to start looking at the complexity of English research. 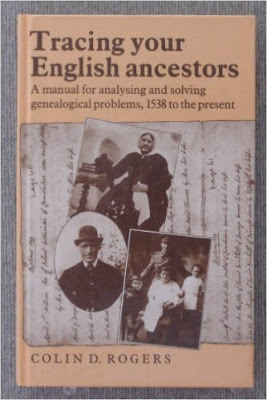 If you have English ancestors and need a place to start, this book will get you to the point where a longer and more comprehensive book will be useful. There are a number of problems with this entry. In the first instance, the name of this person was incorrectly recorded by the U.S. Federal Census enumerator. Despite this mistake, someone found the entry and through Ancestry's correction system, added in another reading of the entry which then became part of the search. However, this particular ancestor of mine was from Denmark and had variations to the spelling of his name, so subsequently, someone added a variation. The uncertainty about the spelling or even the identity of his name has caused the search engine in Ancestry.com to find "Suggested Records" that do not belong to this individual at all. So which is "correct?" They all are. 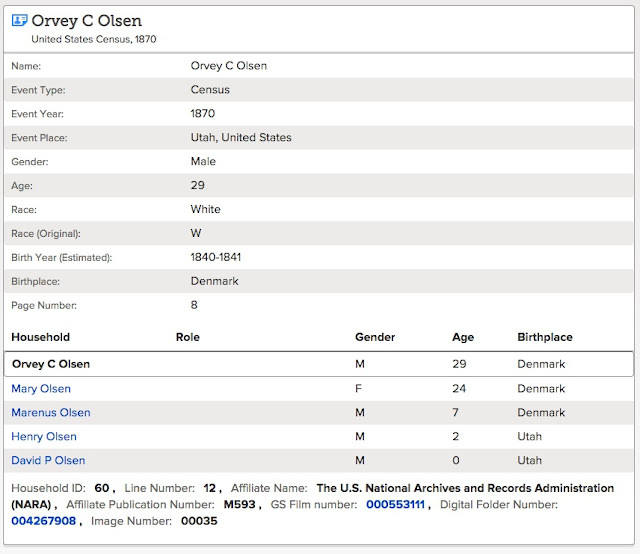 From this, it appears that the enumerator actually wrote "Ovey C Olsen." The first indexer read the "v" as an "n." But the enumerator clearly got the last name wrong. 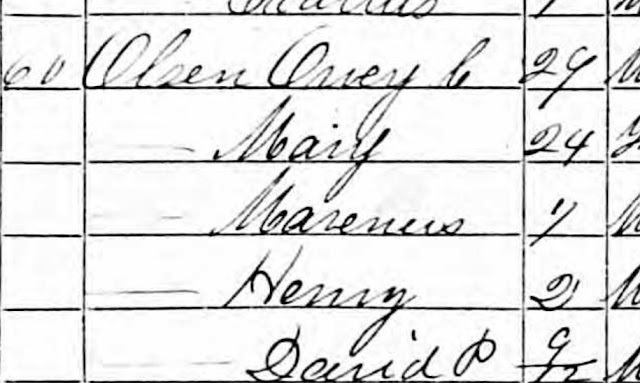 How would you have found this entry in the U.S. Census record? Would you have concluded that the entry for the Overson family was missing? 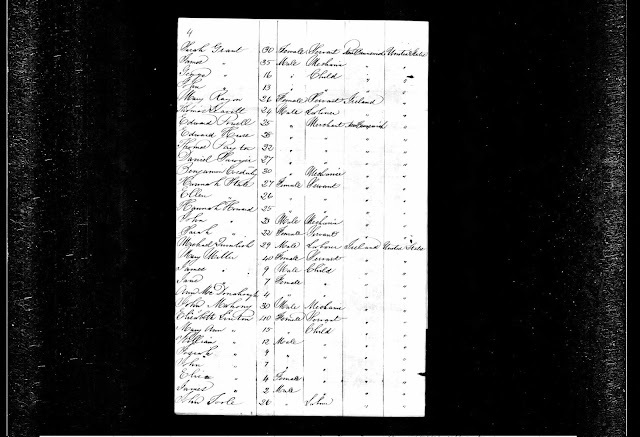 It might help to know that the Henry listed here is my Great-grandfather Henry Christian Overson. Yes, "Overson." That is the way the name ended up being spelled in the United States. How much help is the index in unraveling this dilemma? It might be interesting to note that the child recorded as "Marenus" is also a Great-grandfather whose name is Marinus Christensen and who was either Mary Overson's brother or son, depending on who you believe. Given the information in this Census record, could you find Marinus Christensen in the 1870 U.S. Federal Census, index or no index? The only reason this particular entry is useful at all is because someone took the time to ignore the index. No amount of searching with an index will untangle this situation. 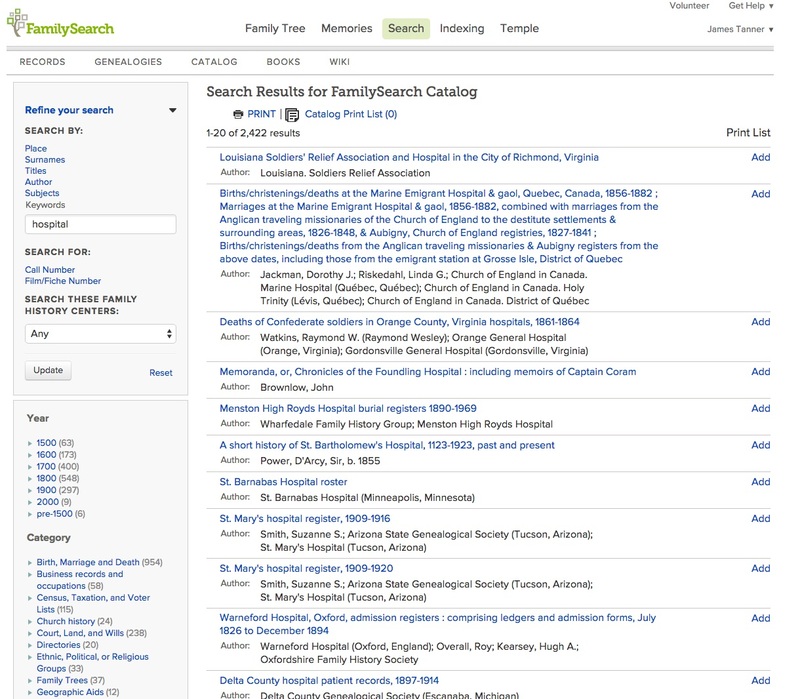 This is not a criticism of any one index or indexing method, but it does point out the need for the indexes that are active and ongoing to provide a way, such as the way provided by Ancestry.com, for subsequent researchers to add an additional gloss to the index or even several variations on the names. This issue also points out a valuable lesson, competent researchers will not rely on indexes. They may take advantage of them as finding aids, but whenever possible, they will find the original record. Sometimes, of course, there is no "original" record. The index is the record. This is true in directories and other lists. The answer with this type of document is that the name you are looking for (and any reasonably determined variations) is either in the list or it is not. It may well be, however, that the directory or other original index listing may suggest other documents that actually do exist and which can be searched for additional information. This past week, after spending almost three hours straight with a patron at the Brigham Young University Family History Library searching parish registers from Puerto Rico, I was just getting started when we ran out time and the patron was ready to drop any way. Yes, research is time consuming and yes, it does require methodical, line-by-line searching. The tragedy is that many researchers never move beyond the index. They conclude that their ancestor "is not in the record" and move on to another index. Before leaving this subject (to which I may return), I must also point out that the portion of the record that is indexed is sometimes not sufficient to completely identify an individual who has a very common name. 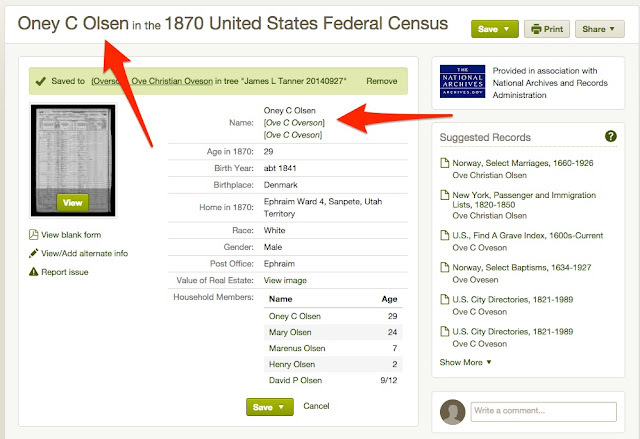 Here is an example of what is being indexed on FamilySearch.org using the same entry for the 1870 U.S. Federal Census. By the way, as another note, this family lived in a very small town in Central Utah and it is a very simple task to search the census record for the entire town. 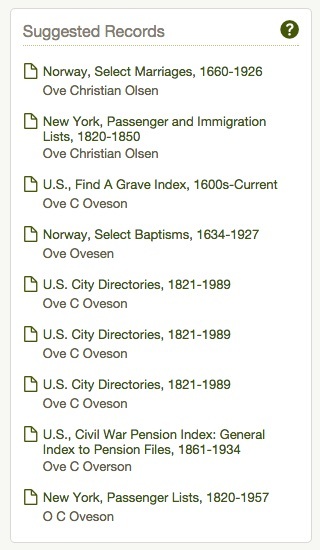 You can see from the summary of the index, now conveniently provided by FamilySearch.org, that this indexing effort extracted the name as "Orvey C Olsen" instead of "Ove Ovesen." But my point here is that there is no way to correct the problem. 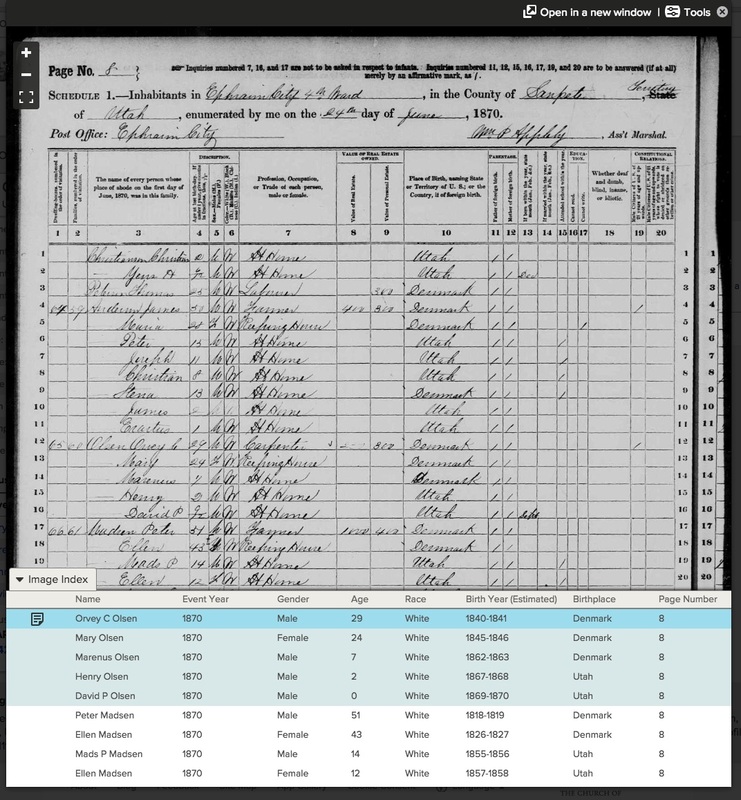 Next, much of the information from this census record is not extracted into the index. The problem this causes is that inexperienced researchers then ignore the unindexed information. Here is the entry they look at and stop at. How many researchers go beyond this "convenient" summary and actually study the original record? From my experience, I would guess very few. Most will simply attach the document to their person in the Family Tree and move on to the next document or ancestor thus losing any insights into additional records that may be available about this family. They have a name, so it is obvious that the task of doing family history is now over. It might be fair to note that there is no way this original census document could have been indexed accurately. The indexer is not a relative of the person listed and has no motivation or even inclination to question was written by the enumerator. Does this mean that I have to examine every record for myself and ignore indexes? Not at all. If you find your ancestor by using an index, count it as a benefit. But if your ancestor is missing from an index to a record that he or she should have appeared in, do not discount the need to examine the original record carefully for an indexing error or omission. Additionally, examine the original, even when indexed correctly, for additional information not contained in the summary from the index. 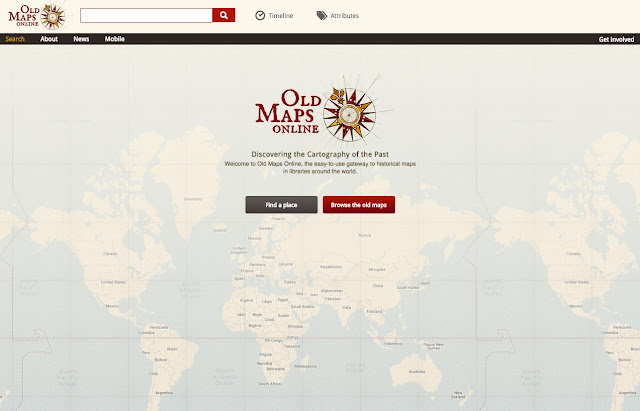 One of the most valuable websites for discovering old maps around the world, OldMapsOnline.org has just gotten a lot more useful. 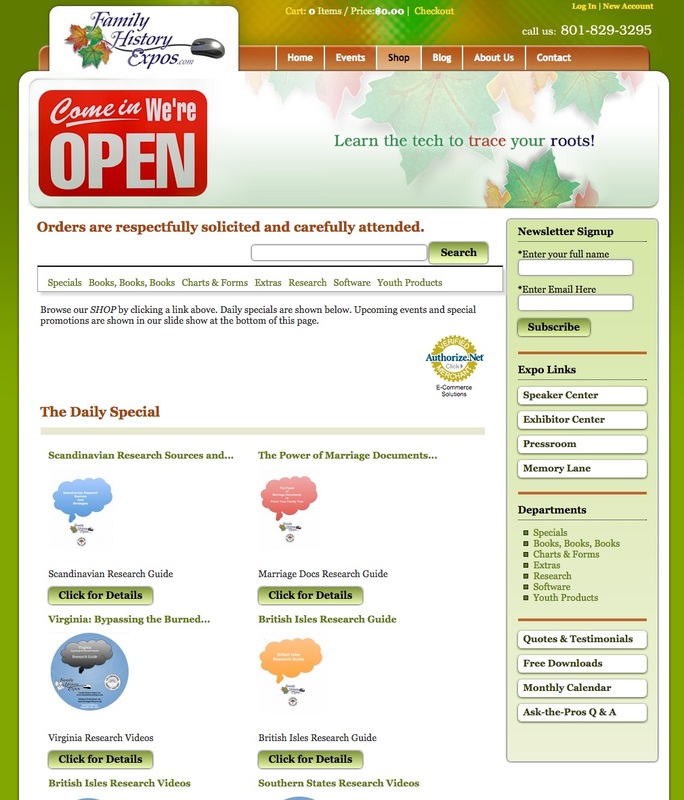 The original interface for the website was innovative and allowed you to select a part of the world in a rectangle and then see a list of the maps available. The updated interface focuses more on a particular location and makes finding a pertinent map much easier. The origin of the website is explained as follows. 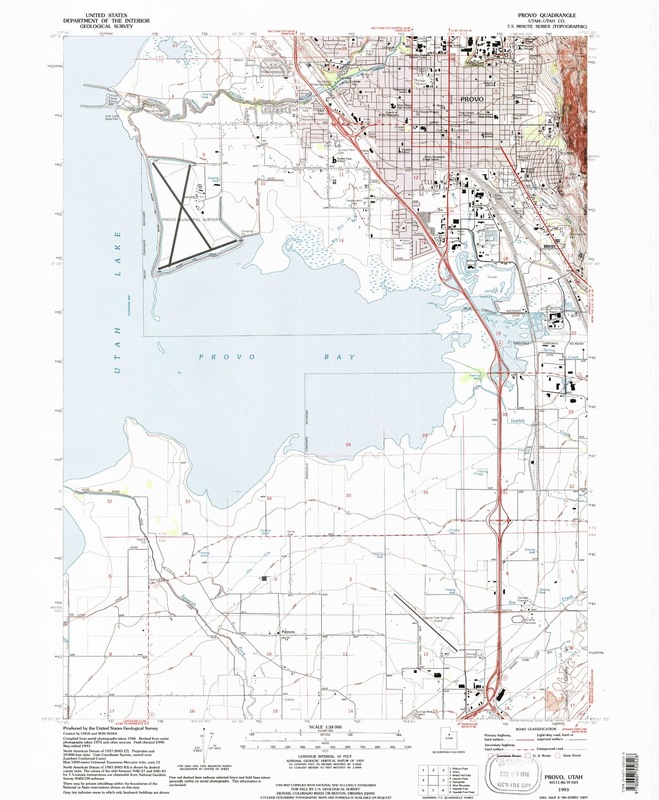 OldMapsOnline developed out of a love of history and heritage of old maps. The project began as a collaboration between Klokan Technologies GmbH, Switzerland and The Great Britain Historical GIS Project based at the University of Portsmouth, UK thanks to funding from JISC. Since January 2013 is the project improved and maintained by volunteers and the team of Klokan Technologies GmbH in their free time. OldMapsOnline.org indexes over 400.000 maps. This is only thanks to the archives and libraries that were open to the idea and provided their online content. All new participants are warmly welcomed. 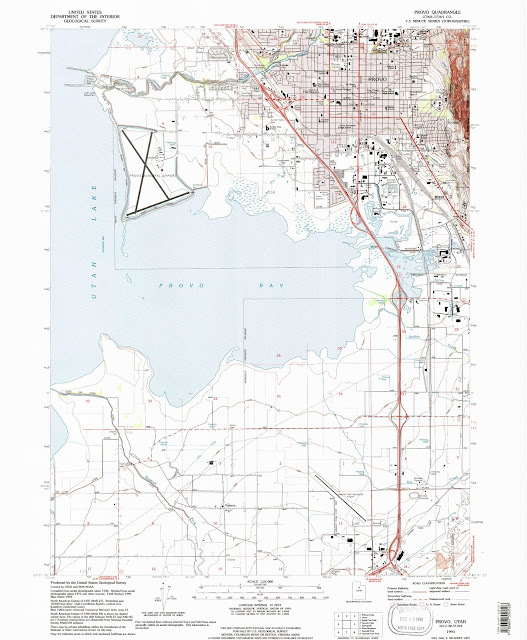 The website is essentially an interactive portal to many huge online map suppliers including the U.S. Geologic Survey, The David Rumsey Map Collections, the New York Public Library, the British Library, The Harvard Library and many more. You begin a map search by entering a place name. I decided to start with Provo, Utah. 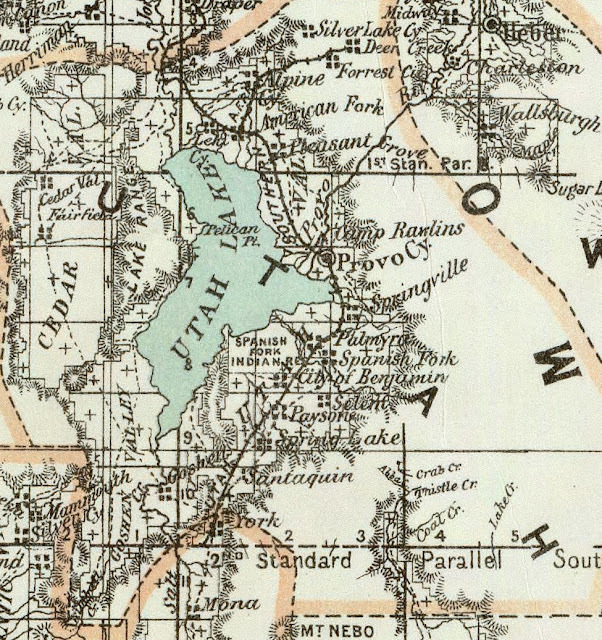 The maps found were associated with the "Parent Place" Utah. Here is an example of an old map of Utah from 1879. Department Of The Interior General Land Office J.A. Williamson, Commissioner. 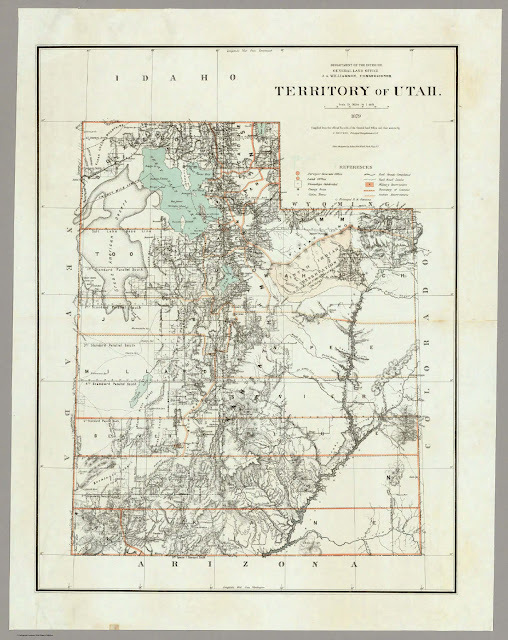 Territory of Utah. 1879. Compiled from the official Records of the General Land Office and other sources by C. Roeser, Principal Draughtsman G.L.O. Photo lith & print by Julius Bien 16 & 18 Park Place N.Y.